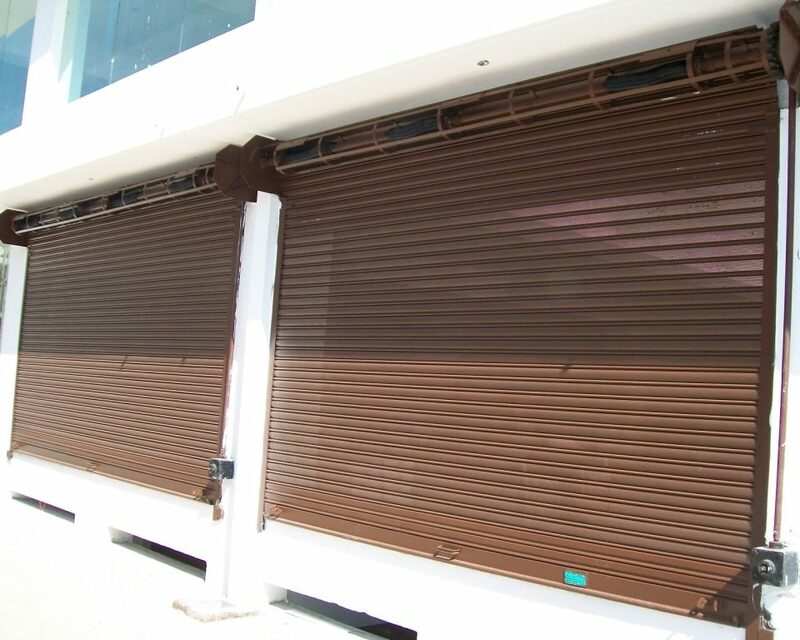 Best Rolling Shutter,Automation centre In Kerala. We are manufacturer, wholesaler, supplier and service provider of all type of Rolling Shutter Automation and Slats in Calicut. We provide complete solution as per inspection of the site or as per design and requirements. We manufacture Aluminum Rolling Shutters, Poly carbonate Rolling Shutter, Galvanized Insulated Rolling Shutter, CR Coil Push-Pull Manual Rolling Shutter, Gear-Operated Mechanical rolling Shutter, and Bright Steel Bar Rolling Grills. We provide complete automation with various access controls and manual operating systems Automatic rolling shutters are new generation trend for saving time and manual operating headache. automation is secure and reliable more than manual locking functions. Aluminum Rolling Shutters made of design patented extruded double wall aluminum profiles provide durability, efficiency and functionality while being light weight as well as robust. 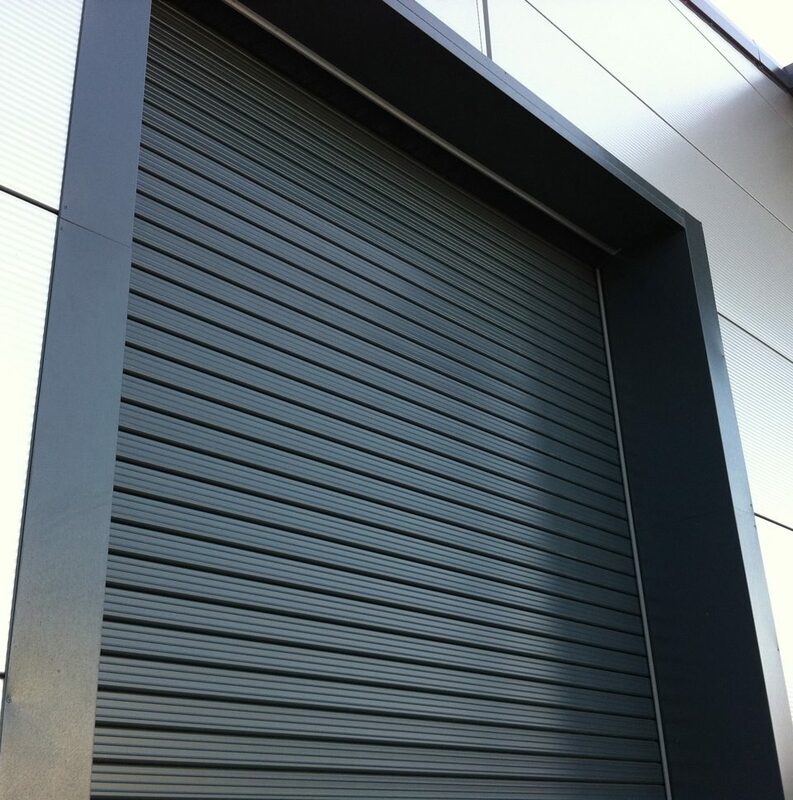 Aluminum Rolling Shutter being corrosion resistant can be installed in areas where it would be exposed daily to atmospheric conditions that cause corrosion. 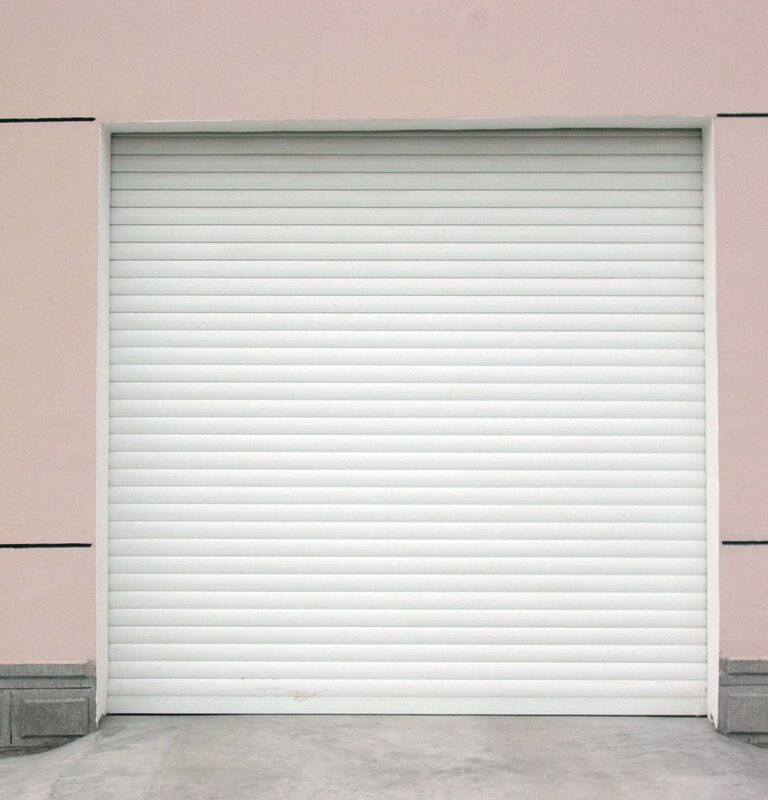 We manufacture puffed, and without puffed aluminum rolling shutter. Our slats are heavy and long life as it’s maintain quality standard during manufacturing. We have manufacture in various designs, and sizes so clients able to get exact size and designs. Poly carbonate strips while offering transparency are extremely secure making it burglar proof. Poly carbonate Rolling Shutter are manufactured using interlocked high impact poly carbonate molded lenses combined with security aluminum tubings. 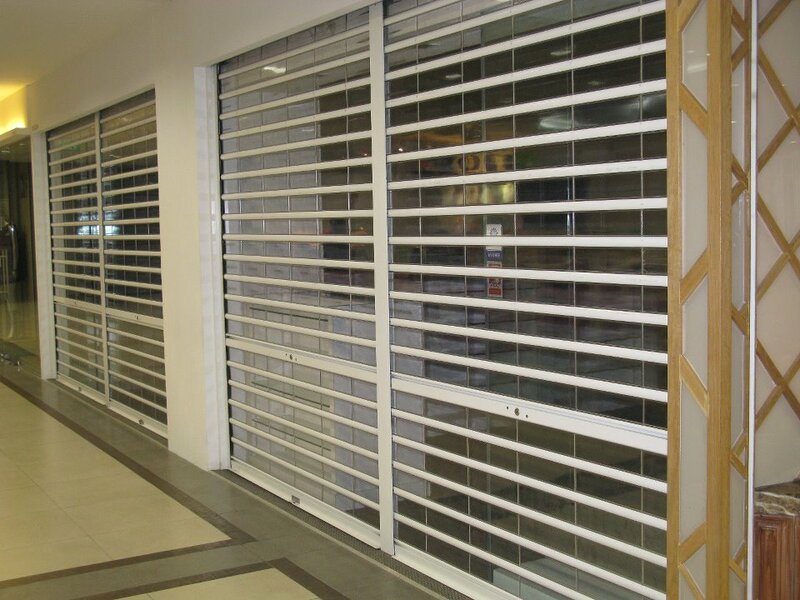 The application of poly carbonate shutters range from protecting shop fronts, concealed doorways, main entrances of shopping centers and cash dispensing areas. They have a bright and clear outlook, mostly designed for use in Public Buildings and any other entrance where security with vision through the shutter is required even when the roll-up shutters are lowered. 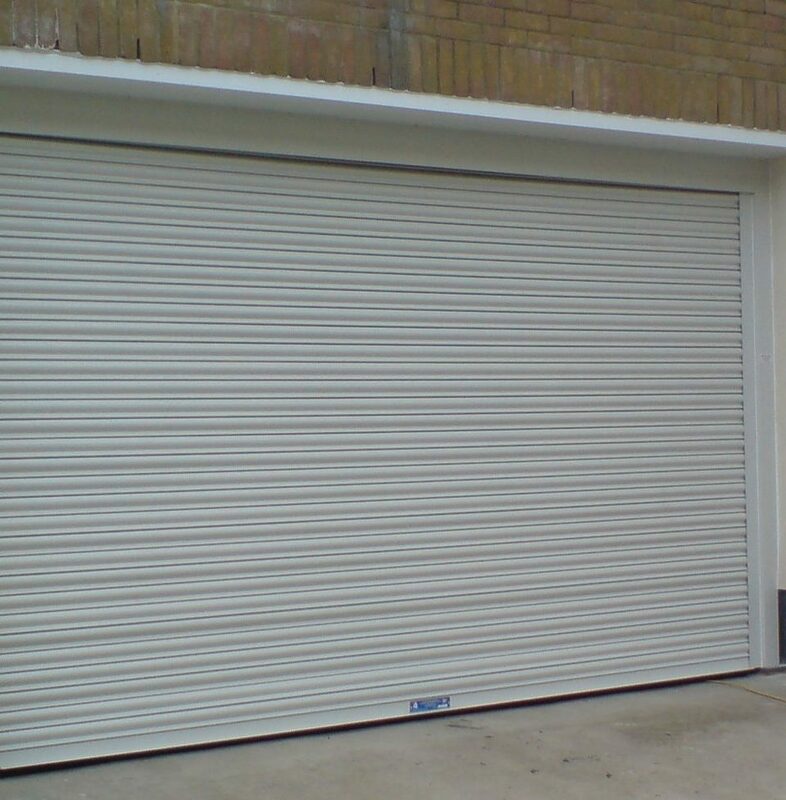 Galvanized Insulated Rolling shutter are designed for variety of industrial, warehouse, loading bays and commercial uses. The PUF insulated Rolling Shutters combine aesthetically pleasing appearance with thermal/ sound insulation and dust prevention. The shutters can be custom made to be fit large opening and are ideal for situation where side room is at a premium and security is required. CR- coiling type Rolling shutters are operated by pulling of the shutter manually. Counter balancing of the shutter curtain weight is done by using high tension coil type spring within strong suspension shaft to reduce deflection. Due to manual exertion, these shutters are ideal for very small size only. Gear type rolling shutters are operated mechanically by using a hand crank/winding handle. Counter balancing of the shutter curtain weight is done by using high tension coil type spring within strong shaft to reduce deflection .The gear operation is through machine cut warm gear. These Rolling shutters are ideal for small to medium size. Honey comb design of rolling Grills provides attractive yet functional means to secure areas where public access must be restricted. 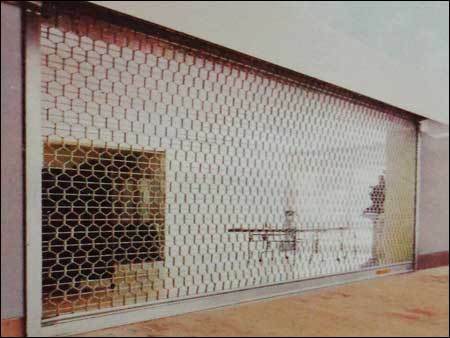 Honeycomb rolling Grills constructed of bright steel Bar are attractively patterned and are ideal for display windows of showrooms, shopping malls and perfectly match with any building’s architecture and interior space. Rolling Grills provide optimal protection without sacrificing.